Hey, there’s a creative title. Vol. 2 is a Japan-only release, much like vol. 1, but this one is much harder to find, and substantially more expensive, if you can find it. 9 of 12 tracks are instrumentals, 8 of which range from good to great. There are some really solid tracks on here. The ones with vocals do very little for me (including a really unfortunate “Misty” cover). 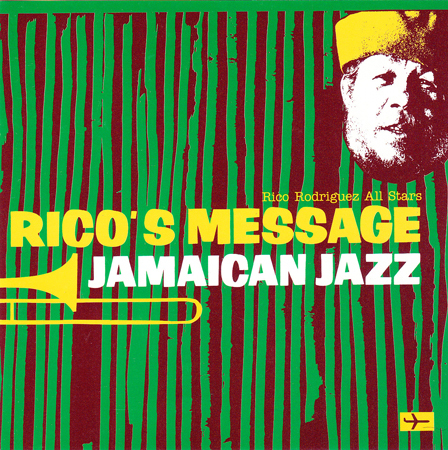 Those tracks notwithstanding, this disc goes toe-to-toe with anything else Jazz Jamaica released. It is well worth tracking down. Here’s another effort hiding under a different name. This one has the same “half Jazz Jamaica” lineup that we found on “You Must Be Crazy” above. It originally came out as a CD and LP in Japan. The CD got re-released at some point, but the LP is a really tough find. 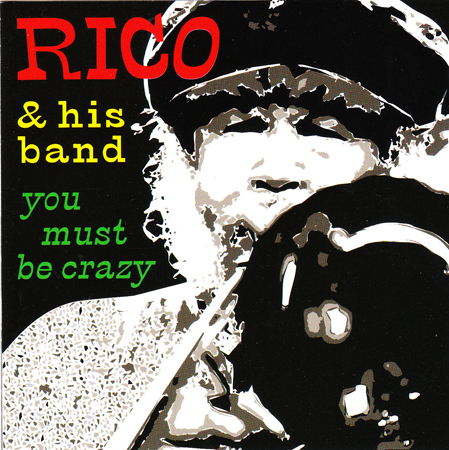 It was also released as a French CD as Rico’s Message in 1997. The biggest standout on here for me is the version of “Work Song” that they do (which you may know from various places, but kicks off the Slackers’ first album). 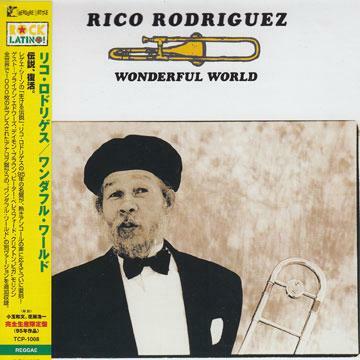 They do a great version of Louis Armstrong’s “Wonderful World” on this disc – possibly the only Rico song with vocals that I really like. Good stuff. Now, things get tricky. I happened upon this album totally by chance. In 1997, I was desperate to find the first album by the Japanese instrumental ska band, The Sideburns (a different post…hmm…maybe I’ll do that one soon). That CD was on a Japanese label called Olive Disk & Record. It was totally impossible to find at that time. As a last ditch effort, I wrote to the label to see if they would sell me a copy of the Sideburns disc (possibly invoking the name of the radio station where I ran a hosted a ska show at the time…you can prove nothing…). Well, they gave me one instead, and sent the Michael “Bammie” Rose CD along with it. I completely ignored it at first – singularly ska-focused as I was, I honestly never got much into reggae, so I tended to ignore most things with “reggae” in the title. Eventually, I figured I should give it a listen. It grabbed me instantly. Kind of blew me away, to be honest. After a few tracks, I started reading through the insert, and saw that Rico had played on it. 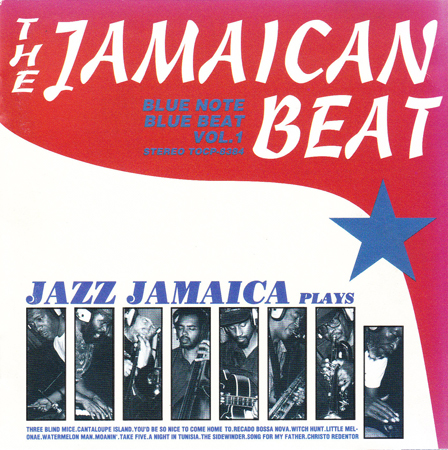 Then, I broke out my Jazz Jamaica CDs to compare, and realized that this was actually the entire band. 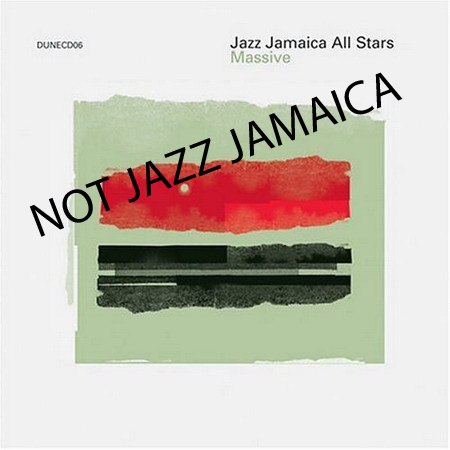 A Jazz Jamaica album in disguise! And only available in Japan! Ridiculous. 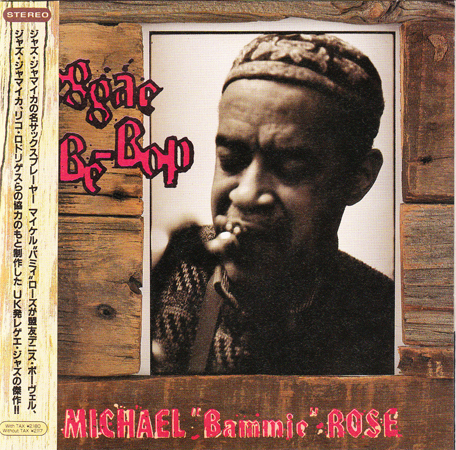 Now, it definitely does feature Mr. Rose and his flute a bit more than a normal Jazz Jamaica title. 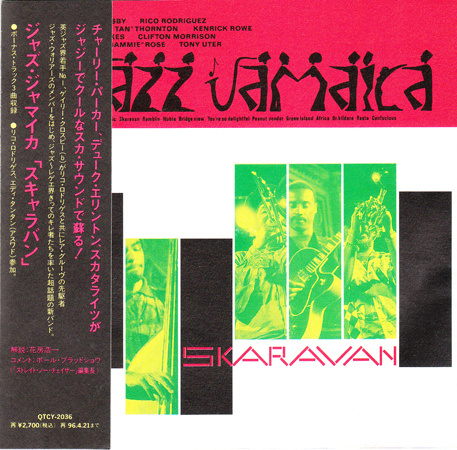 Make no mistake, though: this is a Jazz Jamaica album. And it’s really good. There are several standouts here, but “The New Orleans Connection” makes me happier than most other songs in the world. Buy this. I would totally try to give this record a U.S. release if I thought there were any chance that I would not lose money on the endeavor. Of course, the label is long defunct and in Japan, so…all easier said than done. And not really easily said. Finally…an easy one. 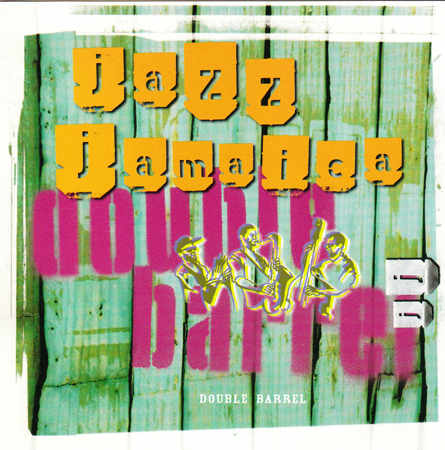 Double Barrel was the last Jazz Jamaica album. 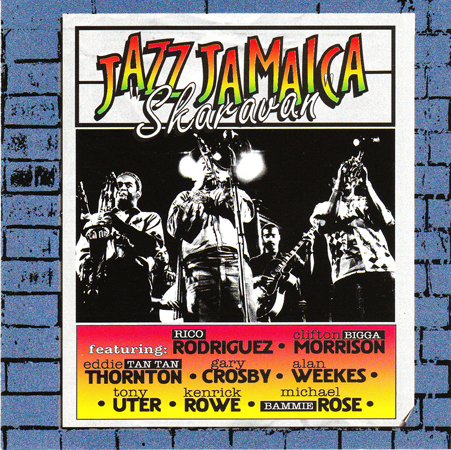 It just crushes from the opening intro line, as they launch into the title track, a Dave & Ansel Collins classic: “We are Jazz Jamaica. We’ve come here to boom-shock-a-rocker- your soul!” The second half of the album gets a little jazzier than the first half, but it’s still excellent. Start to finish, Double Barrel is a fantastic instrumental album. It closes with a badass instrumental cover of “I Heard It Through the Grapevine” that you must hear. The CD was/is readily available in the U.S. 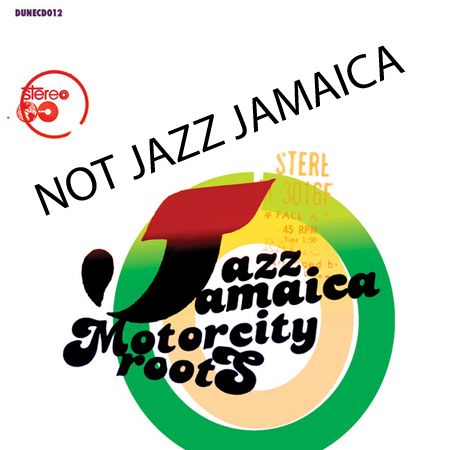 These two CDs need to be addressed, as they use the Jazz Jamaica name, and…quite frankly, are a different band. 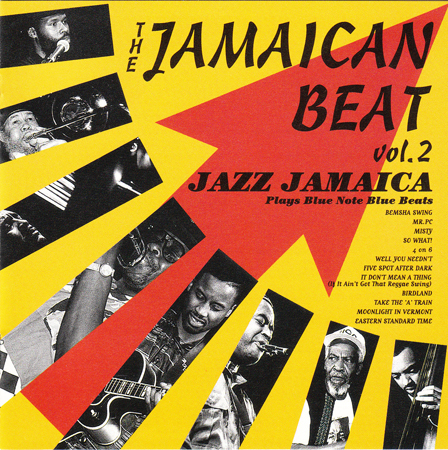 The bass and guitar players from Jazz Jamaica were in this band. No one else. No Rico. These two discs sound nothing like any of the ones above. They were really just trying to capitalize on the Jazz Jamaica name. It fooled me enough to buy the first one. It’s fine…but it’s not Jazz Jamaica. So, there you go. 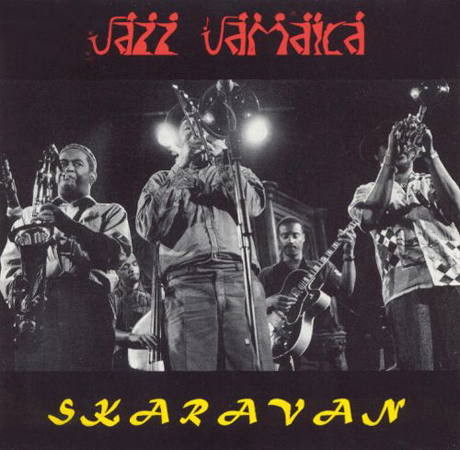 A convoluted, meandering jaunt through the ’90s path of Jazz Jamaica, one of the best instrumental ska bands of the time. Hopefully, there is something in here you have not heard. If you like any of the above, the rest are worth tracking down. Great list documenting Rico’s recorded work with this important band. For a long time they were primarily known as a live concern as they had several live European tours that received rave reviews. You also might want to check out Rico’s work during that same period with Swiss band the Madlighters. More of a Two Tone sound but excellent. Interesting…I have not heard that material at all. Thank you!